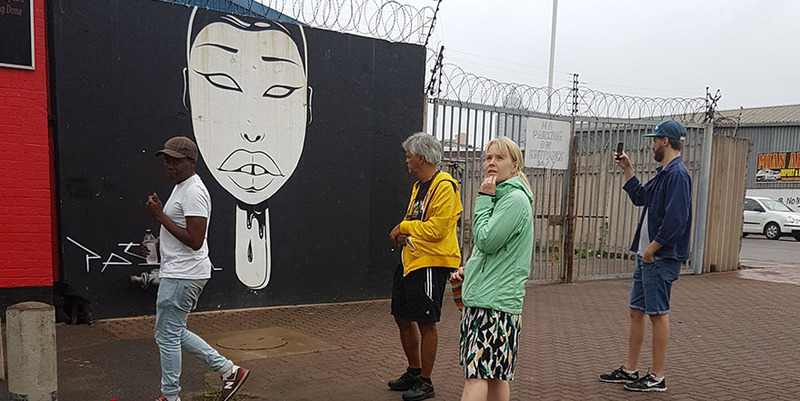 Sure, Durban is famous for its beach, but for the land mammals, or the water babies taking a break from the waves, our walking tour means you’ll get to see bits of the city that don’t show up on any guide books. Get to Curiocity at 10am, and relax over a fresh-brewed coffee while we kick off with introductions and orientation. This historical Beer Hall was the only place in Durban to legally buy beer in the first part of the 20th century. Recently refurbished, it’s still one of the best places around to get a pint. You know those cute little open-air markets Europe is famous for? This is a cute little open-air market Durban is famous for. During apartheid, this building housed the Department of Native Affairs. Once the most hated building in town, it’s now redeeming itself in its current incarnation as an apartheid museum. Karma is a beautiful thing. If you were wondering where to get those expertly carved African wildlife figurines, or intricately beaded African jewelry, or even a genuine African spear and shield set, wonder no more. Durban is sometimes fondly referred to as ‘South Africa’s little India’. In fact, Durban has the largest concentration of Indian people outside of India itself. So, wander around Grey Street, and get a little bit of Asia in Africa. Some people love dogs, others like books, a few like stamps, and still others just really love touching different kinds of material. If you’re one of the latter, you’ll really enjoy your time at one of Durban’s most famous fabric and haberdashery spots. No self-respecting tour would let you leave Durban without feeding you at least one bunny chow, a quintessentially local carb-overload of fresh-baked loaf, hollowed out and filled to the brim with spicy curry. End the tour with a refreshing cocktail or three (because no one’s judging), admiring the sunset on top of the iconic Pixley House.